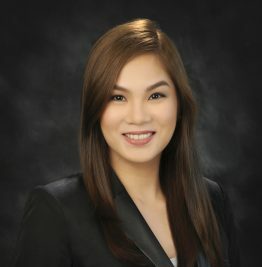 Cler obtained her degree in Accountancy from the De La Salle University, Manila in 2010. She became a Certified Public Accountant in 2011. She then earned her Juris Doctor degree at the Ateneo de Manila University School of Law, and was admitted to the Philippine Bar in 2016. She joined C&G Law in 2015. Cler specializes in taxation, corporate services and business transactions, and other special projects relating to Public-Private Partnership. She has assisted and rendered legal advice to several domestic companies in capital and tax structuring. Cler has also rendered advice on compliance requirements for corporations in regulated industries in the country. Advising clients on their investments in highly regulated industries. Advising on regulatory requirements and processes of Public-Private Partnerships. Assisting in the incorporation, including the drafting of documents for registration, with the Securities and Exchange Commission (“SEC”), and general corporate housekeeping of a domestic finance company, brokerage company, and school. Assisting in various other applications and processes with the SEC, such as applications for increase in authorized capital stock and dissolution of corporations. Advising on tax structures and compliance to corporations involved in mining, energy, and shipping. Assisting in various applications and processes with the Bureau of Internal Revenue, including tax protests. Advising clients in their tax-related reportorial requirements, such as income tax return, value added tax return and withholding tax returns. Assisting in the preparation of protest of assessment of local government units on real property taxes. Assisting in the appellate litigation of tax protests. Rice to the Challenge: Exploring the Legality of the Imposition of Quantitative Restrictions by the National Food Authority vis-à-vis the Obligations under the GATT (2012), Juris Doctor thesis, Ateneo de Manila University School of Law.